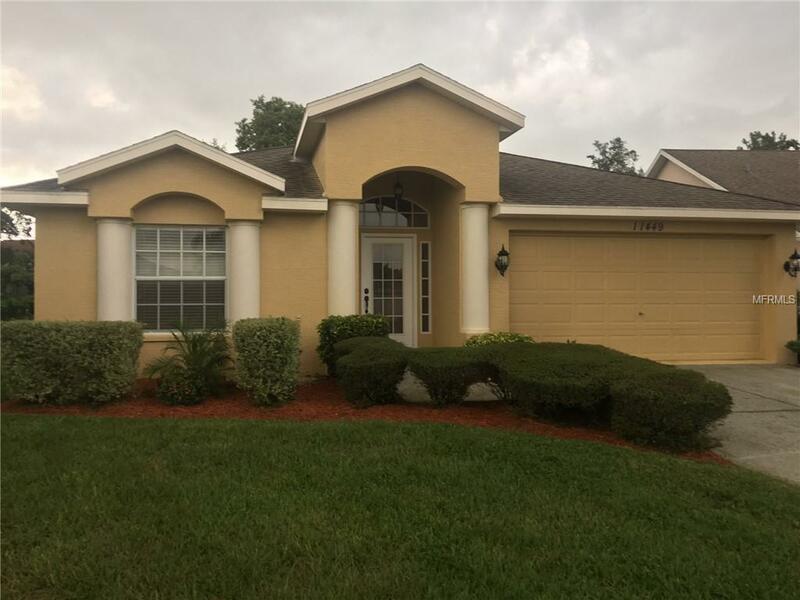 Lowest priced 3/2/2 in River Ridge Country Club! Live maintenance free in this well cared for great room plan home with an open kitchen bar, split plan bedrooms, inside laundry room and separate dining area overlooking lushly landscaped yard. Recently upgraded with laminate floors and tile, new interior and exterior paint, stainless steel kitchen appliances. A/C replaced approximately 2 years ago. Low monthly HOA fee covers lawn mowing, fertilizing, pest control, irrigation and garbage. Community clubhouse offers a full Dining Room services, PRO Shop and several activities. Well rated River Ridge Middle and High Schools are located right outside the back gate. Minutes to major commuter routes, Trinity Shopping, restaurants, hospital and more. Repaired settlement,fully insurable. Current HOI $540 per year. NO FLOOD INSURANCE REQUIRED. Additional Lease Restrictions Contact Mary Scicchitano At Ameri-Tech Management Co. Phone# 727-726-8000 Ext. 309 Email: Mscicchitano@Ameritchmail.Comamenities W/Additional Fees- Visit The Community Site For information. Www.Riverridgecc.Org.